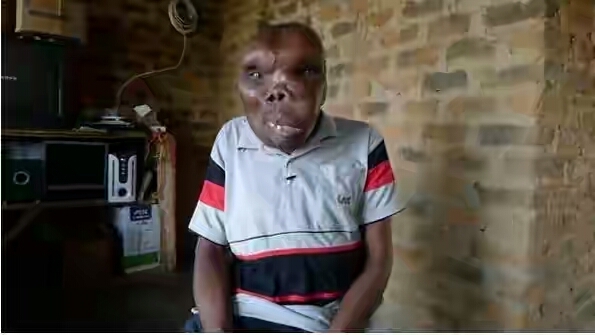 Godfrey Baguma, a man with a badly deformed head who won the Uganda’s most unusual looking man is now a musician. The 47 year old man, who came into the limelight for his unique head, has launched a career in African pop music. He suffers from a rare condition called Fibrodysplasia – which affects the growth and placement of his cells and tissue. 0 Comment to "Uganda ugliest man drops music video (watch)"